Our mission is to make frozen treats with creative and original flavors that you can feel great about eating. 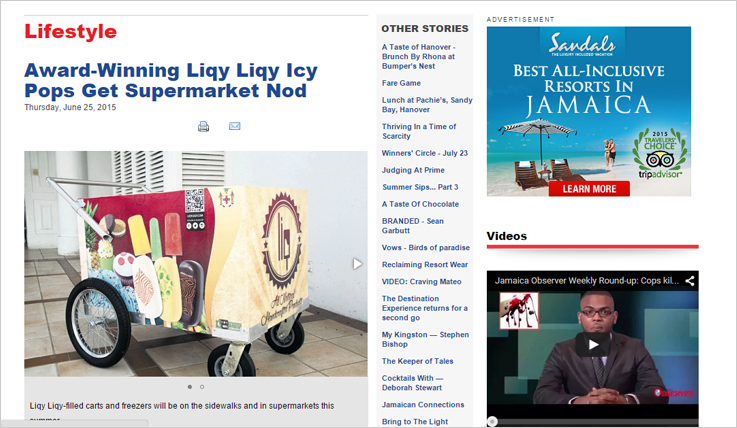 Liq Fruit Bars (Liqy Liqy), which got the nod at the recently concluded Jamaica Observer Table Talk Food Awards, will soon be in a supermarket near you. 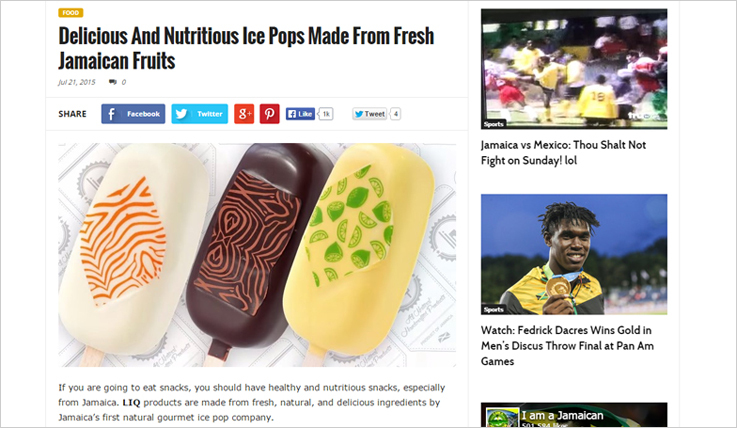 If you are going to eat snacks, you should have healthy and nutritious snacks, especially from Jamaica. 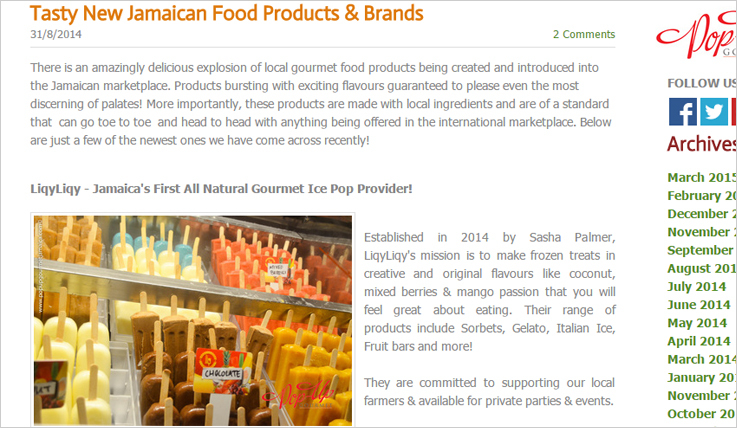 LIQ products are made from fresh, natural, and delicious ingredients by Jamaica’s first natural gourmet ice pop company. 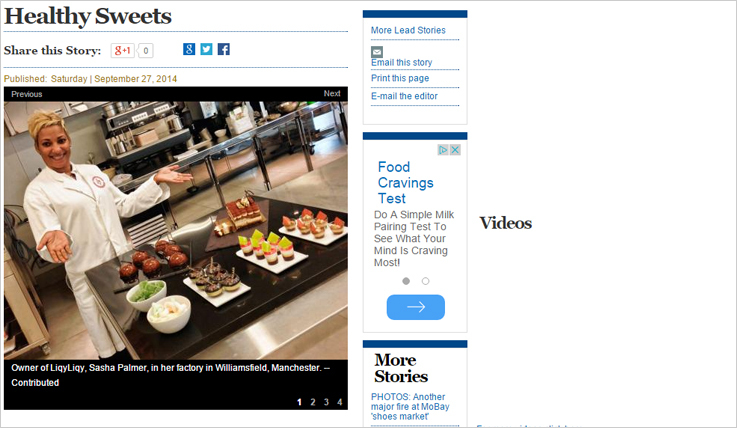 PICTURE THE nation’s children hyped on snacks that were actually healthy for them, and then imagine a factory of hundreds of empowered women helping to make these nutritious snacks. Push your imaginative abilities even farther and picture this product boosting the economy significantly and becoming a global name.